See sample pages of http://winkbooks.net/post/134912574252/the-field-guide-to-typography-typefaces-in-the at Wink. Typography is a rich, thought-provoking study with a deep, storied history. And yet, for most of us, it is an unremarkable aspect of modern life. We rarely stop to consider the fonts we use in our family newsletters; we do not question the availability nor the history of Times New Roman or Verdana. Typography surrounds us everywhere, every day, and yet we never see it. 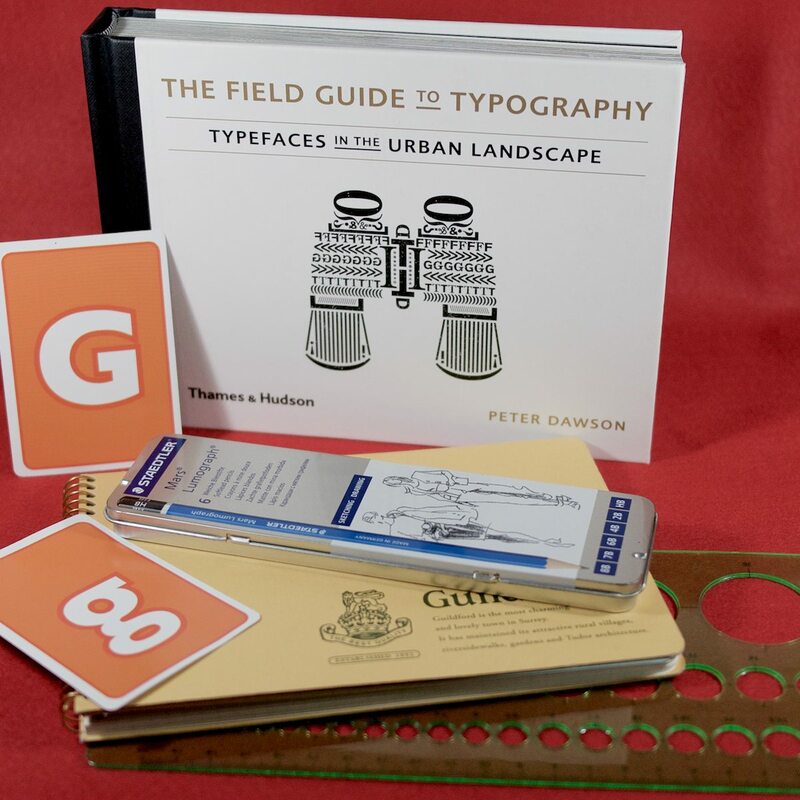 Peter Dawson's The Field Guide to Typography: Typefaces in the Urban Landscape seeks to change that by introducing the reader to real-world examples. The book is replete with glossy, full-color photographs paired with histories, category, classification, identifying marks, and everything else you would expect of a working dictionary or encyclopaedia. Additionally, one of the most interesting and aesthetically pleasing aspects of the book are the breakdowns of individual fonts. These illustrations identify and label the various components of a typeface (baseline, descender, etc.) along with suggested meanings and evoked images or feelings. Personally, I found this book while browsing art and design books and found myself captivated by its wealth of information and the stunningly clear way the book’s designers presented this heretofore ignored art that I could see all around me. For me, The Field Guide works not only as an invaluable reference book, but as an inspiration and work of art. I did not intend to write such a somber review. In fact, I had a few (terrible) jokes in mind - Sans serif? Sounds like a beach accident, am I right? - but in looking through the book again, I was struck by just how much I admire the designers and artists who put these typefaces together; their work deserves to be recognised and contemplated and The Field Guide is an excellent way to do exactly that.